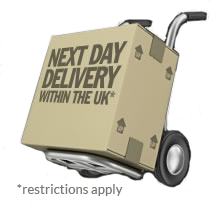 Is next working day delivery available in the UK? Please note, when you order before 1 pm on Friday, your order will be sent Express Delivery on Monday. What do you mean by small-, medium, and large-capacity cigarette bins? We divide our bins into small-, medium- and large capacity because cigarette butts and smoking litter are not a standard size. Think of the number of people likely to use your cigarette bin. If it is a small number of people, then choose a small capacity bin, a medium group, then medium-capacity and so on. We have included an image of each bin next to average-sized people to give you a clear idea of the bin size. If you are still unsure whether a particular bin is right for you, please read our Buyers Guide or get in touch. We are here to help. Are your wall-mounted bins delivered with the screws needed to attach it to the wall? All wall-mounted bins supplied by Bins-Direct.com are delivered with wall-fixings included. I’ve lost keys to the bin, can I get a spare? Yes, we have spare keys for most of our models. Please contact us, remembering to quote your model number (which you can find on our website on the cigarette bin page) and we will be happy to help. Do you sell no smoking signs? We sell everything you need to create a safe and effective designated smoking area including a range of no smoking signs. 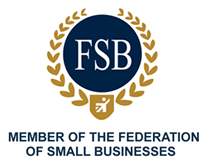 Businesses must display ‘no smoking’ signs in all workplaces and vehicles. If your place of work has multiple designated smoking areas, our multi-buy deals will save you lots of money. Buy 5 or more and you could save up to 20%. Can I return a cigarette bin? Absolutely, so long as it has not been used. You can change your mind up to 7 days after receiving delivery. Please read our no-fuss returns policy here.